After a last minute call to Windsor Marquees they helped save the day with a last minute marquee installation in Cheltenham. The originally planned outdoor party planned for this weekend was threatened by inclement weather so after contacting Windsor Marquees at the last minute they were able to help. We installed a 20′ x 20′ marquee with flooring and lighting next to the Terrace and barbecue area so the party could go-ahead as planned. 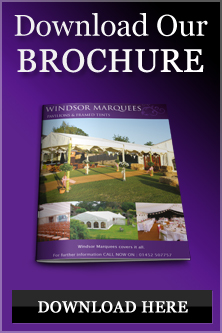 The team at Windsor Marquees were pleased to help, with the weather as it has been over the last seven days, who knows whats going to come next. April was hot and steaming , now June has April showers! said the team.